This 2016 Chevy Silverado LTZ features a Realtree Camo Package perfect for any Hunter out there. This 2016 has extremely low mileage and is loaded with all the extras. This truck features an all black look that is perfect for the woods or for style. Spray-in Bedliner, Towing Package and Black Step Bars. 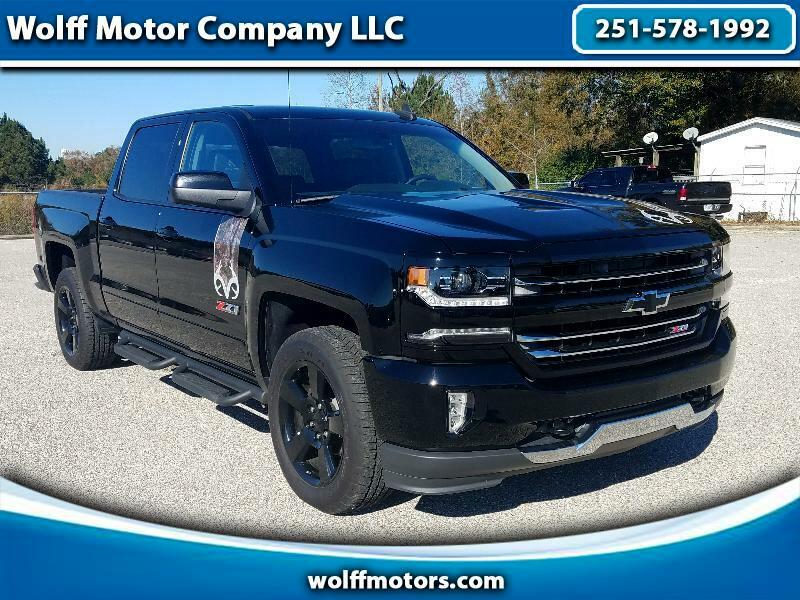 This truck definitely has eye appeal and has all the comfort on the inside with Black Leather Interior, Heated Front Seats, Touch Screen Display with Backup Camera, Electronic 4x4, All Power, Navigation and so much more. Give us a call at 251-578-1992 to speak with a sales professional today.